Some may look at the countless expressions of nature and see the virtually infinite diversity of species that exist, and think that there is no way that all of this variety could come from just one geometric form. We might look at the solar system along with the planets, planetoids, and moons, that compose it, and believe that there is nothing more to see than the same old randomly space planets orbiting our home star. However, upon closer examination, we will see that there are precise geometric constants which define the relationships between stars and their planets, planets and the organisms which live upon them, and within the various biological systems which conventional science previously considered random. 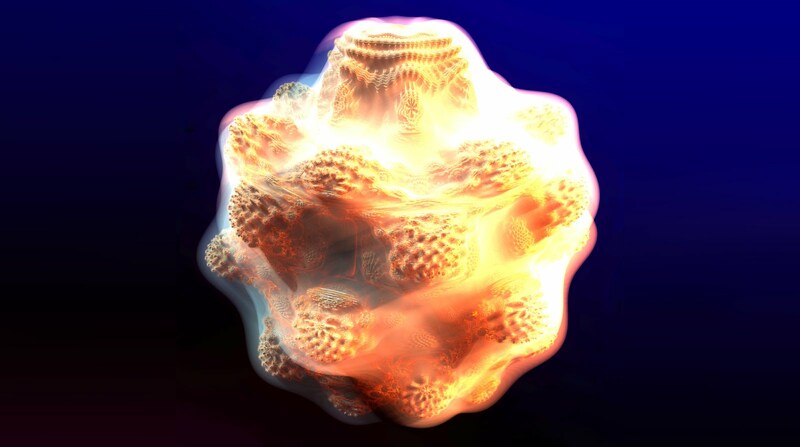 It is amazing to consider the possibility that our universe is the fractal holographic expression of one single form. Despite the profoundness of the statement, in many ways this possibility seems to very much be the case. 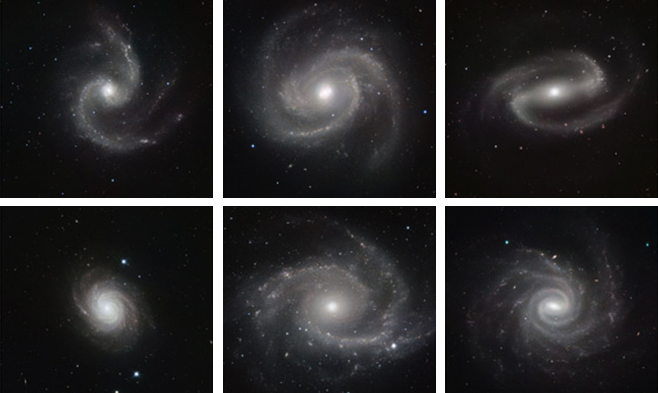 From natural systems, to galactic rotation and evolution, the exact same geometry can be seen throughout the entirety. This article is an examination of the relationship between the various systems of the universe from the macrocosmic to the microcosmic. It is based on the subjects of two recent episodes from the Wisdom Teachings series on Gaia.com. Within these discussions, David Wilcock studies the intricate universal detail which the Law of One maintains originated from one single photon. Along with these studies, I intend to examine the possibility that the original universal photon and everything that is based upon its design is, in fact, conscious. As we may remember, the Mandelbrot set was discovered largely by accident. This function was stumbled upon by the Polish/French/American mathematician Benoit Mandelbrot when he worked for AT&T. At the time, Mandelbrot was assigned to figure out why cross-continental transmissions were being hindered in different areas. By initial appearance, there was no reason why these signals were not equally efficient across the entire grid. It seemed that some unknown anomaly was causing this interference. A magnification of the Mandelbrot set - a form based in multidimensional physics derived from a number which in conventional mathematics, is impossible to create. This number is commonly the square root of -1 (though there are other variations). As Mandelbrot came near to completing his study, he found that the interference had a pattern to it. This pattern turned out to be the familiar graph and image we have come to know as the Mandelbrot set. However, this was not his only discovery. As he consulted with other colleagues of his, he found that this exact function could be applied to populations of foxes and rabbits in the wild. According to the study, the rabbits would reproduce at a certain rate and create a surplus of food for the foxes. When the foxes ate the rabbits, the rabbit population dwindled down. As the rabbit population decreased, scarcity of rabbits caused the foxes to begin to starve and die off. Due to the low population of foxes, the rabbits would then be able to reproduce once again. 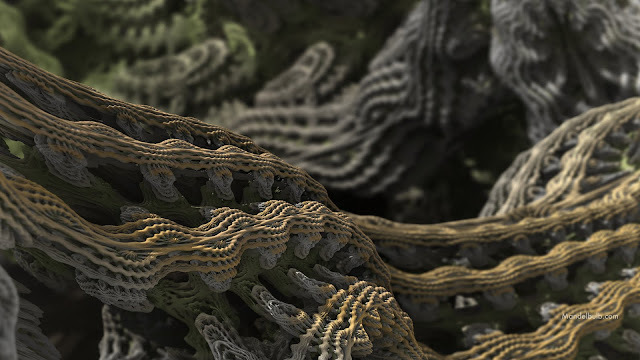 As an example of the possibilities within the form of the Mandelbrot set, here are two videos on a project called the Mandelbulb. These computer simulations give us an idea of the countless ways in which this mathematical function could be expressed. To demonstrate the possibilities of diversity, here are two videos from the Mandelbulb project. The discovery of the Mandelbrot set was amazing to those who realized its applicability. It was actually found that this mathematical function could be observed within numerous interactions throughout nature. We cannot say for sure whether Mandelbrot actually understood the entire significance of his discovery at the time. However, at present, it seems clear that this mathematical function represents a universal constant—a type of physical blueprint by which the universe operates. We can see the Mandelbrot set reiterated throughout nature and the universe. This repetition is what originally gave David Wilcock the idea that this form fractalized out into the shape of a sphere, and that this form was the essential design of the photon. As we will remember, the Law of One specifies the photon as the first and original life-form in the universe. 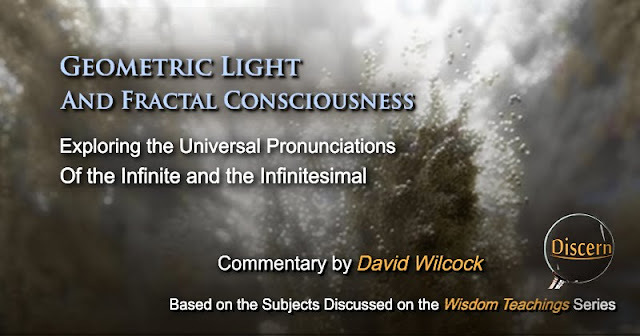 In an earlier discussion David Wilcock made mention of the numerous religious texts that make reference to light as being the first thing created in the universe. From a the perspective of the Judeo-Christian Bible, there is also reference to what is termed The Word as being that which first existed. In the Greek language, the original translation for “word” came from the word Logos. This is a direct correlation between the Law of One text this biblical passage. Also, this particular concept of the light and the Logos being foundational in the universe places a direct correlation between these two essential concepts. 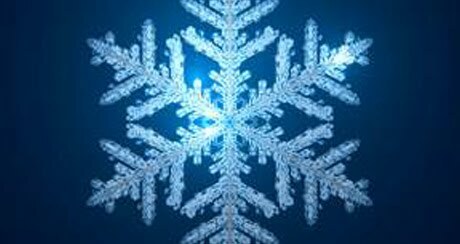 As we may remember, the Law of One refers to the universal Logos as that which fractalizes down from the infinite in magnitude down to the infinitesimal in size. According to the text, this is the essential consciousness which is expressed throughout the universe. 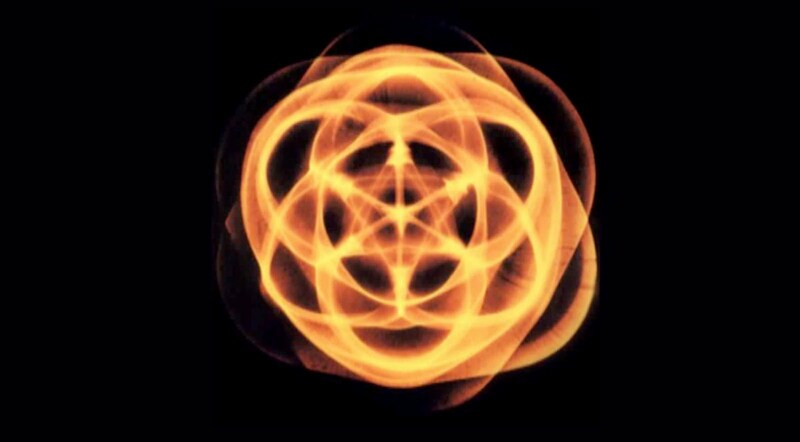 It may even be said that this consciousness, the photon, and the universal Logos are one and the same. However, this is only an idea. In light of this possibility, the question came to mind as to why David Wilcock believed that the photon fractalized out into the form of a sphere. It is a given that we see the sphere as the universe constant as far as granular and fluid substances are concerned, but why would the Mandelbrot set fractalize out into a sphere? Then it came to me. The sphere is the unifying factor of the spherical geometry we see everywhere throughout the universe. It is the foundational template from which we get the Platonic solids. It has been mentioned numerous times as to what the Platonic solids are and why they are significant. However, I wonder how many of us know just how mathematically remarkable these shapes are. 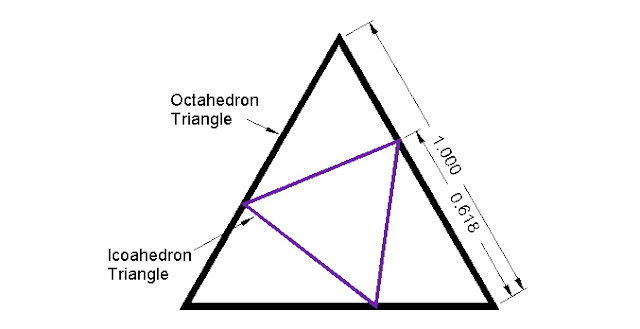 By now, we know these forms—the tetrahedron, the hexahedron (or cube), the octahedron, the dodecahedron, and the icosahedron. We are aware of their numerous iterations throughout the universe. So let's look at some aspects of this form we may or may not have known before. 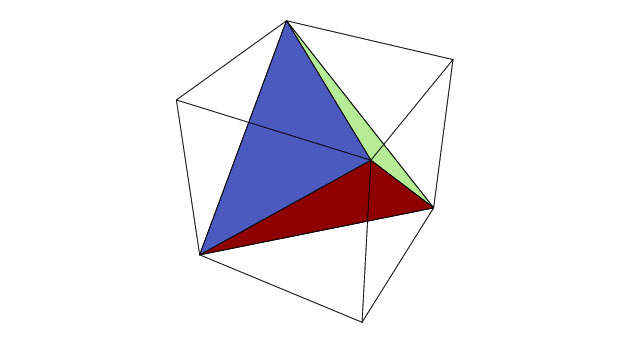 The tetrahedron inside of the cube - When these two forms are nested, the area of the tetrahedron is exactly 1/3 the area of the cube. Star tetrahedron inside of the cube - The star tetrahedron takes up exactly 2/3 of the cube's area in this case. 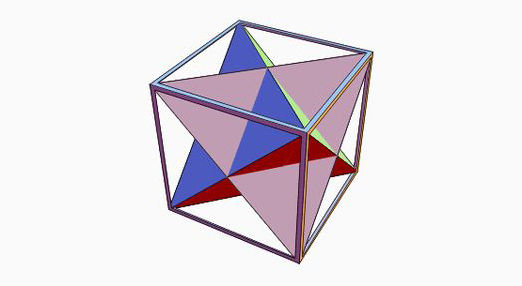 The cube inside of the dodecahedron - In this case, the cube bisects the dodec in the exact same way on every face of the cube. Also, the corners (or nodes) match up perfectly in this case. 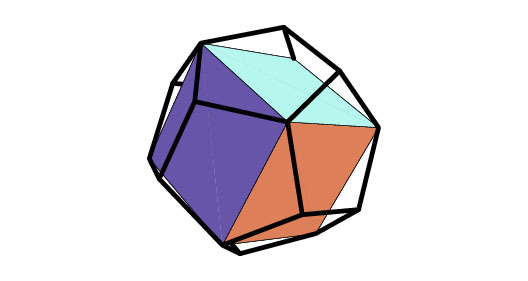 The icosahedron inside of the dodecahedron - To create this form, simply connect the center points of every pentagon of the dodec within its area. The icosahedron inside of the octahedron - Notice the intersection points. 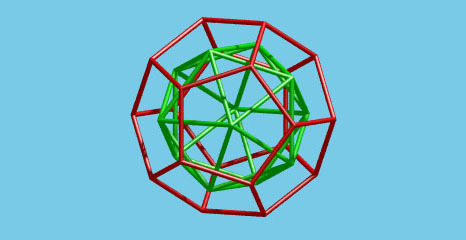 The icosahedron and the octahedron intersect at the exact points that form the golden mean from their triangular faces. 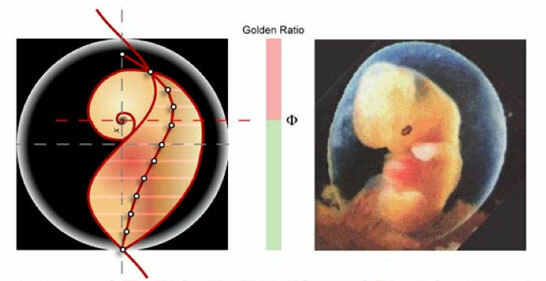 With every nesting of Platonic solids, this golden mean is created by their points of intersection. Any of these solids can be explained in a number of ways. Your average mathematics text book will typically make the subject so boring and detached from practical life that most people simply dismiss these concepts before fully grasping their significance. 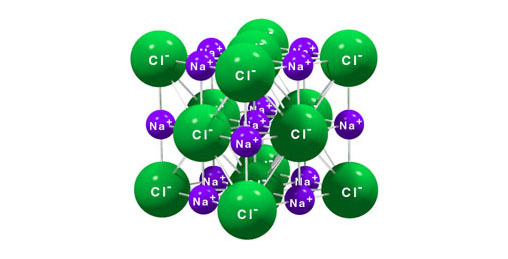 It seems there is much more to these solids than most textbook publishers care to print. Each and every solid is able to fit inside of a sphere with all of their corners extending the exact distance of that perfect sphere. Keep in mind, these are just the simple combinations of equilateral triangles (plus one with equilateral squares) fit together in the simplest of ways. Yet despite their simplicity, there seems to be an uncanny relationship between these forms. These relationships are a bit difficult to explain. So instead, here is a short video that describe this relationship fairly accurately. As we can see, these solid forms seem to be designed to exist as a unit. It is as though they were somehow intended to occupy different aspects of the same space. The star tetrahedron fits perfectly inside of the hexahedron with notable symmetry. The dodecahedron fists perfectly inside of the icosahedron, and visa verse. These forms have a number of interesting interrelationships. In fact, this is what we may be able to derive from the familiar cymatic experiments. 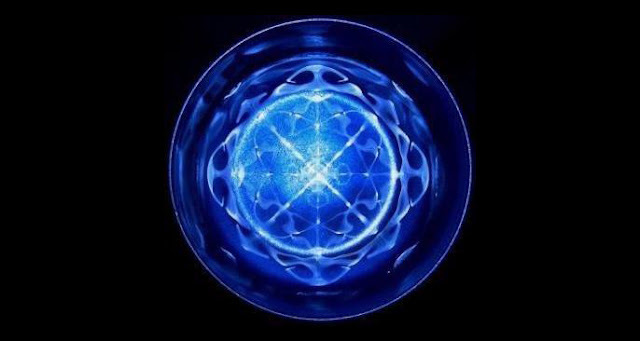 We may remember that the relationship between sound and geometry was the discovery of Dr. Hans Jenny in his study of cymatics. The image above is the simple combination of water and fine particles of sand. Without any sound frequency transmitted into the solution, there is only muddy water to see, but with certain harmonic tones, this perfect Platonic geometry emerges, and if we look closely, we can see the numerous iterations of geometry formed inside. Though it may be difficult to tell from this particular image, this is a three-dimensional droplet of water. Though the droplet is distorted, it is still possible to make out pronunciations of Platonic geometry. The star tetrahedron stands out quite well, and if we look closer, we can see the cubical structure of the hexahedron, and possibly one half of the octahedron in the very middle. There are numerous aspects of the Platonic solids—one more interesting than the next. There is the subject of how the phi ratio corresponds to these forms, and how many different planetary and astral bodies show signs of their influences, but for now I will simply make the point that these solids are interrelated, fractal in nature, and spherically based. Consider for a moment, the fact that these forms can be seen in so many places throughout the universe. In this case, their fractal nature begins to come to light. If the Platonic solids are universally foundational forms, this would mean that the sphere is universally foundational as well, and if this is the case, it would mean that it is very likely that the sphere corresponds with the photon in some way as well. 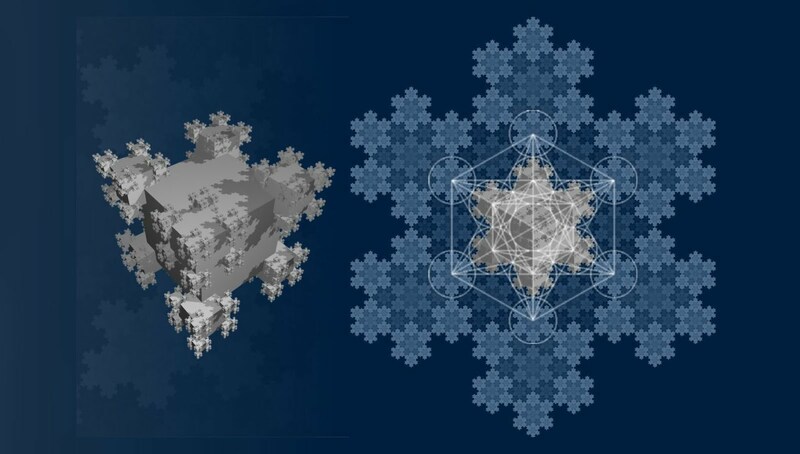 By now, we are most likely familiar with the concept of fractals. If we are, we know that countless iterations of phi ratio, the sphere, the spherical torus, the Mandelbrot set, and Platonic solids can be seen through countless examples in nature and throughout the universe. We will further know that nature gives us seemingly endless examples of these attributes in every ecosystem, organism, and within the interactions between these. We can even find pronunciations of these forms within the human body. If we were to examine each system within the human body, we may find that the Mandelbrot set is pronounced in the functionality of that system. The interaction between heart-rate and physical activity, the production of stomach acid and digestive fluids as compared to food consumption, and the rate of respiration in relation to blood oxygen levels may all be governed by this natural mathematical constant. 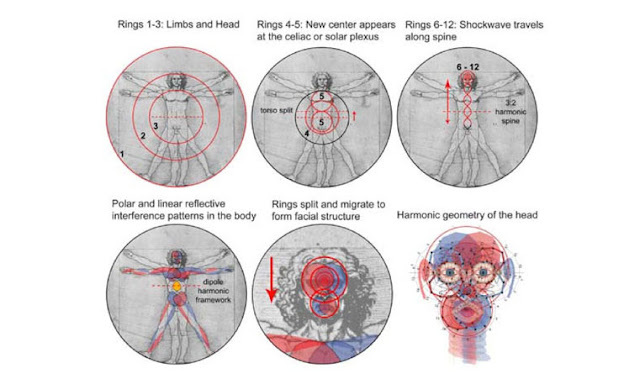 So we can see that our geometric constants are present within the human body in abundance. 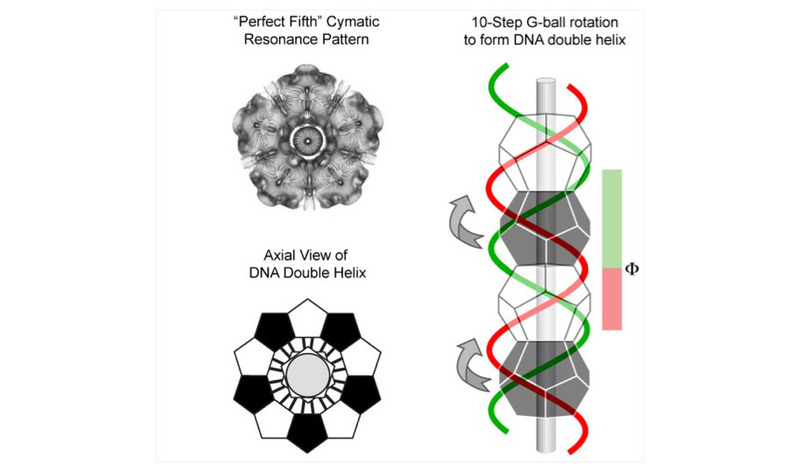 We can also see that the Platonic solids are incorporated into structures such as the DNA molecule. We may further know that the electromagnetic field produced by the human body is a clear example of the spherical torus, and to these aspects of universal geometry, we add another interesting observation. It has been discussed in past episodes of Wisdom Teachings how human sexuality (particularly heterosexuality) is a direct physical manifestation of the way in which photons manifest through the interdimensional gateway of the wormhole, and propagate through the universe. This mechanism is the way by which higher density photons enter into our universe and give us light. 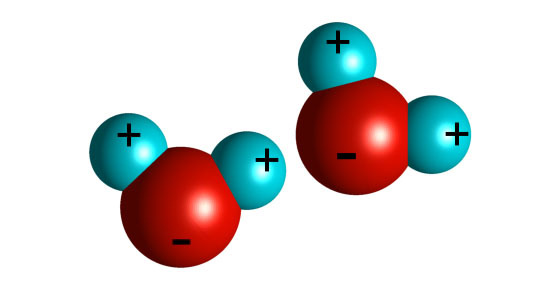 This is the mechanism that sustains 3rd density as we know it. If it is true that the photon and consciousness are one and the same, then this may have profound implications. If it is true that photons enter into our universe from higher densities of existence, this would mean that these higher densities are continually assisting us in attaining higher consciousness. As David Wilcock shared in past discussions, as higher-density photons enter lower densities, they cause an increase in the vibration of that density. Consequently, the greater the amount of photonic input we receive, the higher the level of consciousness we can achieve. This can be achieved through focused intention as well as with pyramid technology. Either way, our consciousness is increased as we bring greater amounts of light into the universe. This holds within it yet another possibility. If higher density photons propagate into lower densities, this means that our presence in the 3rd density has the ability to assist lower density organisms to achieve higher consciousness. It could very well be that by our mere presence on the planet, we have the potential to not only enlighten ourselves, but bring a higher level of light/consciousness into the world. Naturally, those who have access to higher amounts of consciousness will have greater potential than those without. Those who make the greatest effort to focus on increasing their inner light will have the greatest ability to awaken and enlighten other beings around them. This may have been the original meaning behind the biblical concept of the people being the light of the world. I have little doubt that before the biblical text was distorted and twisted to serve the Catholic regime that many of its teachings were based on true concepts, and this concept of inner light coming outward and assisting the world to increase in consciousness seems to be one of them. If we consider the fractal characteristic of the universe, we may begin to realize that at some level of existence, everything we see and even that which we do not see is made of the same essential energy. 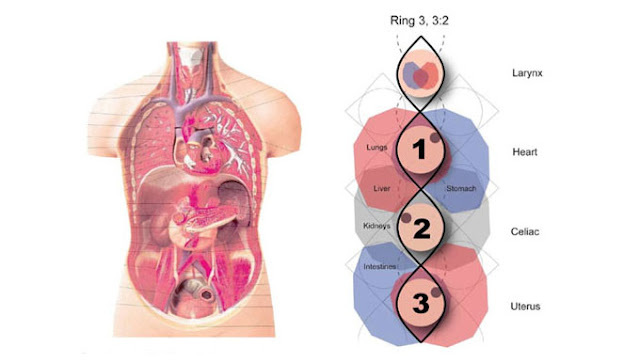 This means that everything from atoms, to molecules, the organs that make up our bodies are designed based upon the original photonic geometry. If this is true, this would mean that every element, every substance, and every organism on every planet is designed based upon the countless iterations of that single photon. It's possible that when we see straight-line, pentagonal and hexagonal shapes in galactic arm structures that we are seeing cross-sections through energetic Platonic solid forms. Note the pronunciation of phi ratio as well. If the universe is founded upon this original photon, this would mean that every planet, every star, galaxy, and galactic super-cluster is based upon this original photon. Keep in mind that at every size, this photonic form can manifest countless variations of structure with this singular and yet infinite blueprint. Now, let's add in a principle from the Law of One—specifically, the principle of the Logos. This passage is thick with information and implication, and seems to be a lot to take in. Let's try to distill things down. We have this concept of the Logos, and this Logos produces numerous subdivisions. These sub-Logoi are of the same design and essence of the original Logos, but to an extent, they function as their own respective entities. To add, this passage mentions that at some level, everything within the universe is alive and/or conscious in some way. This means that everything from atoms to planets and more are actually conscious, accord to the Law of One. This principle is profound to say the very least. However, there are quite a few questions that it brings to mind. One of these may be, “Just how does a planet evolve?” To answer this question, we may look at one example which is relatively near to us. This is the planet Jupiter. Jupiter is a familiar sight to those of us who enjoyed the science of astronomy as children. We may have even been fortunate enough to own our own telescope, and were able to see the planets firsthand from the comfort of our back yard. Though I was not able to afford one of my own, I knew kids who had telescopes powerful enough to see the planet Jupiter on a clear night, and possibly even a few of its larger moons. Space.com - What is Jupiter Made Of? This gas giant is an anomaly in our solar system. In fact, Jupiter could actually be considered its own micro-solar system. This giant tops the record off with an equatorial diameter of 88,846.13 miles (and a polar diameter of 83,082.92 miles), and a staggering 67-plus moons in total. With this size and this many satellites, the possibility becomes clear that planets along with their satellites could actually evolve into independent solar systems. But how could this occur? 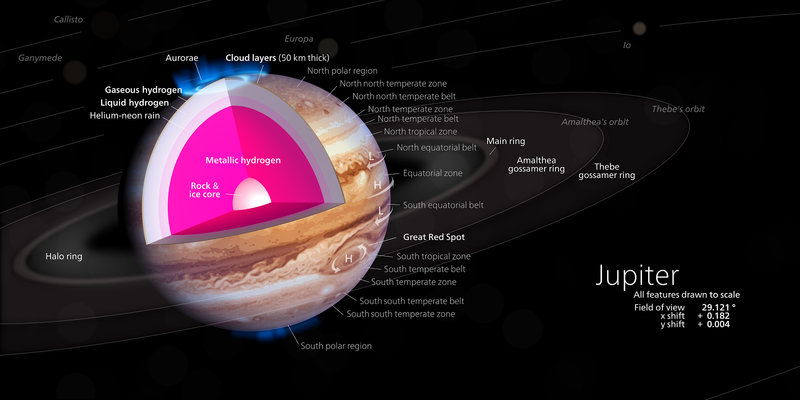 Modern scientific theory holds that each of the gas giants has a core of molten metal, just like the Earth and the other rocky planets are believed to have. This suggests the strong possibility that each of the gas giants actually started as rocky planets and matured from that point—increasing in energetic states until all of the solid materials within them become gaseous. During this process these growing planets would increase in gravitation—forming and attracting one satellite after another. Some of these satellites may begin as simple asteroids much like the Earth's new moon is said to have been captured. After being captured, these asteroids may continually attract stellar material captured by Jupiter's gravity to eventually form spherical moons. As moons multiply over millions of years, and as the planet increases in size and mass, it begins to resemble a solar system. 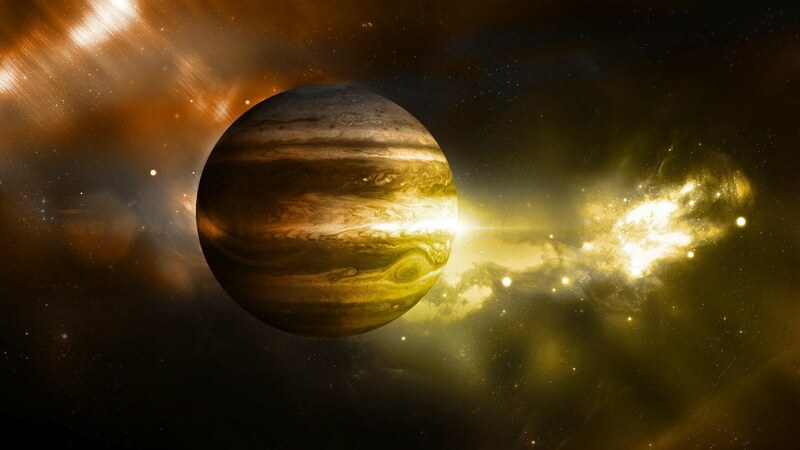 At present, Jupiter is acknowledged to consist of mostly hydrogen and helium, much like the sun is said to be. 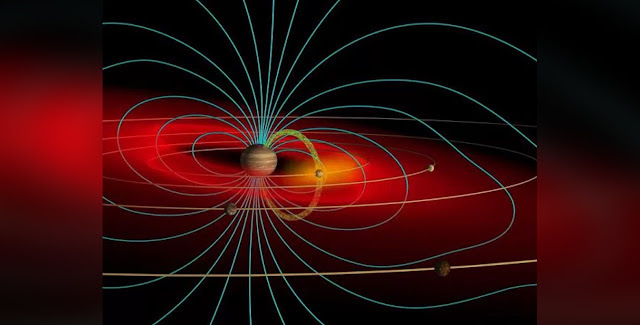 If in fact planets are alive, this chemical consistency of Jupiter may telegraph the next stage in evolution for the planet. 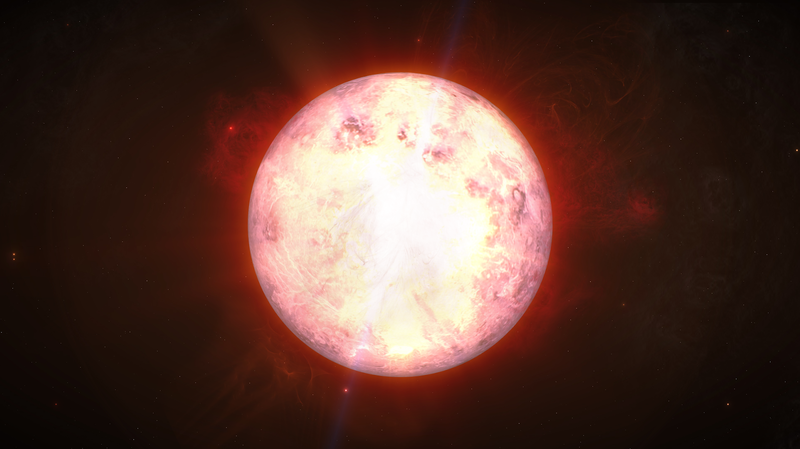 It could be that Jupiter's next shift in consciousness actually involves this planet becoming a star. As this happens, its moons would heat up to red-hot spheres of molten material to become proto-planets. Click here to read about the numerous cosmic expressions of geometry. Video - "The Biggest Stars in the Universe HD"
As we may remember, the Logos is the universal consciousness that expresses itself in countless forms throughout the universe. The various expressions of this Logos evolve to higher states—constantly attaining greater levels of consciousness. If this is true, this may mean that as we evolve, we would not simply have the ability to become people, or singular anthropomorphic beings. If the expression of the Logos is universal, this would mean that we may have the opportunity to become much more. 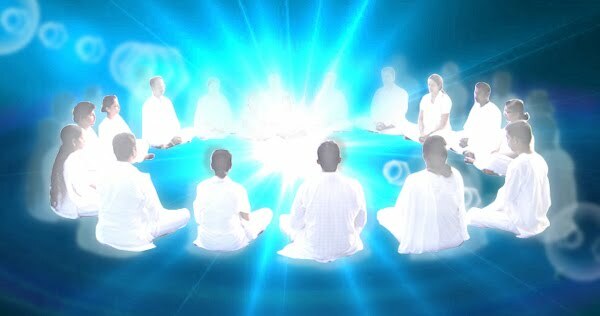 We may realize opportunities to become several people, and even to incarnate as an entire soul group—having various simultaneous experiences as each being within the group. We may find ourselves becoming entire villages, communities, and even entire planetary populations. In fact, there may even be opportunities where our souls are able to manifest as entire planets. According to the Law of One, we as living beings within the solar system exist as participants and actual parts of the energetic anatomy of the solar system. This is not to say that we are necessarily tethered to this system, but simply to say that we play a major role in the evolution of this system as we ourselves evolve. It is also suggested that in our next stage in evolution, we may become like Jupiter, in that our time of being bound to one planet ends. This would be our opportunity to raise our consciousness and fan out into the galaxy as higher beings. The time may be coming very soon, and each of us plays a major role in bringing it to pass.